When I got home from all my travels, the first thing I made was another flannel shirt for Tom, as he was about to go camping. Bridgette, his partner, asked (jokingly, I think!) whether I could make Heidi, their puppy, a matching flanno. Er, not too good at pet clothes, but I did offer to make her a matching bandanna. Pretty cute huh? Even if I say so myself (Heidi, not Tom!) The shirt is my old fave, Kwik Sew 3422, which I can do with my eyes shut (just about). I did this one in 5 hours, beating my previous personal best (not that I’m competitive or anything 🙂 ). I had the usual issue of the checks being off grain, but I cut each piece out separately and managed a pretty good job of the pattern matching. You’ll note that Heidi is growing – she is going to be a monster, I think. I’d rather keep her for a week than a fortnight! Tom was totally thrilled with this shirt. I left his on his doorstep when I went for a walk, and he put it straight on and called me round for photos – be still my beating heart! The details: Pattern is KwikSew 3422, fabric is flannelette from Homecraft Textiles. Buttons are from my stash. Models are Tom and Heidi, the pup. 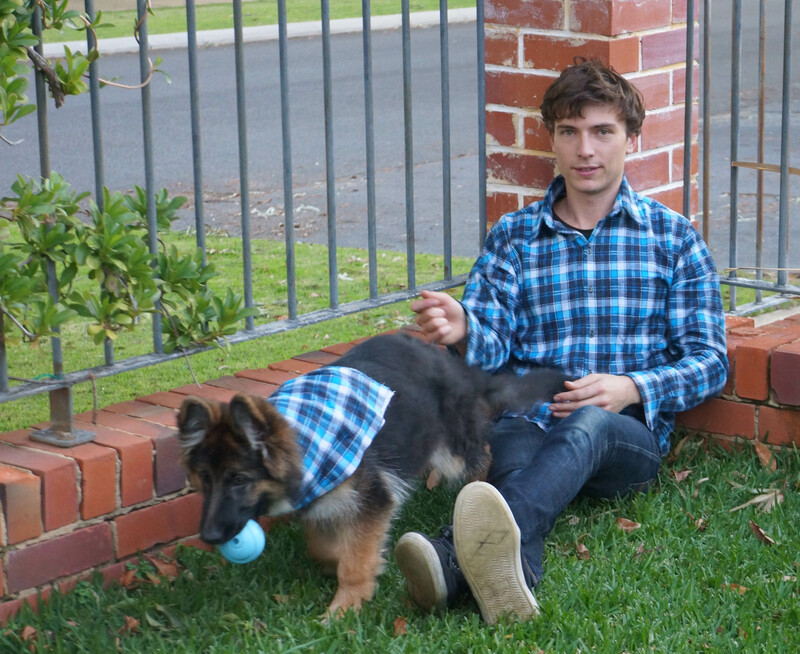 Great flanno shirt for your son and very cute bandanna for Heidi. I use to sew for my little dog when he was alive. Winter coats for dogs are so expensive to buy and making your own requires little fabric and little effort. If you are ever interested, there are really lovely free dog coat patterns on Martha Stewart’s web site/blog. Lovely shirt and such a cute idea to make the matching bandanna for the dog. 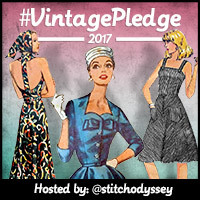 So nice to see your sewing efforts appreciated too. Thank you. Tom does love a flanno and he was so pleased to be matching Heidi – it’s all over his Facebook page! Perfect flanno shirt for your son and he looks very pleased with it. Heidi’s bandanna is just too cute and she is just gorgeous. He describes flannos as “wearable hugs” so was thrilled. Not sure how long before Heidi chews up the bandanna!